Since launching The Hog Ring Design Studio in early 2014, auto trimmers from all over the world have been putting our illustrations to good use — helping customers visualize their design ideas and securing contracts to bring them to life. 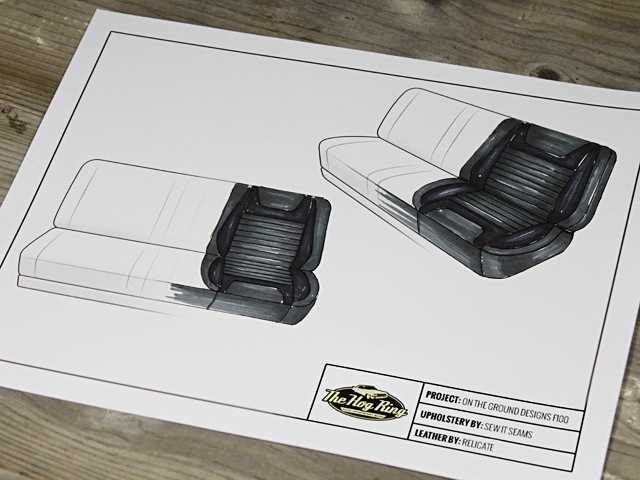 Case in point: Check out how one of our illustrations was used to design the seat of a custom 1973 Ford F100. 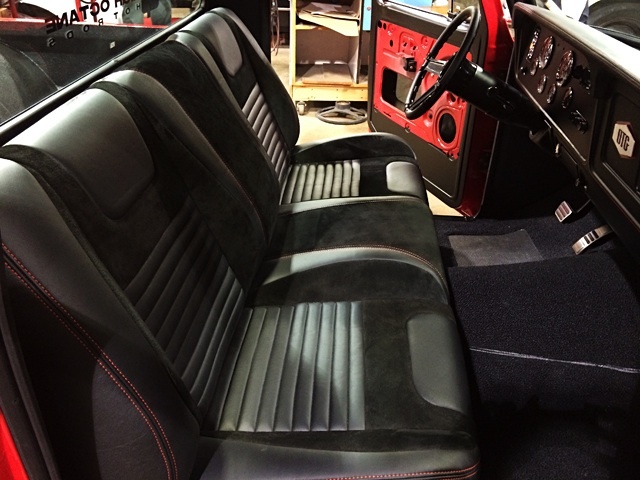 Jason Jones of On the Ground Designs and owner of the ’73 Ford affectionately called the “Boss F100” asked Josh Laird of Relicate Leather Collection to design a one-off seat worthy of a high-caliber show truck. Using the “generic bench seat” illustration from our Design Studio, Josh began to experiment with different design ideas and color combinations. 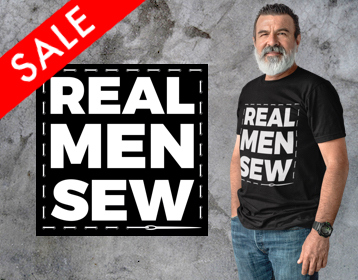 With further input from Scott Zielinski of Sew it Seams Interiors, the team settled on a design that they thought fit the truck perfectly. Scott then got to work to transform the vision into reality. 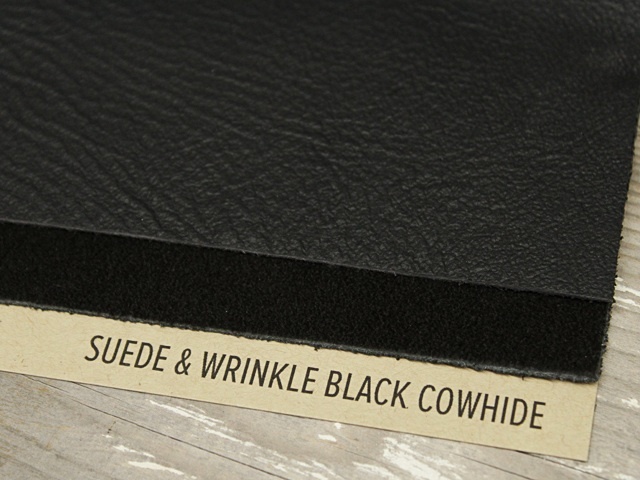 After shaping the foam, Scott trimmed the seat with genuine suede and wrinkle black leather provided by Relicate Leather Collection. The upholstery was finished off with red contrast stitching to tie the exterior to the cabin. The end result was a beautifully designed and perfectly trimmed bench seat that looked fantastic in the Boss F100 — leaving all parties happy and excited to show off their work. We can’t express how excited and happy we are to see trimmers putting The Hog Ring Design Studio to good use. We think long and hard about each illustration we add to the collection, and then collaborate with a professional automotive artist to present it in the most useful way possible. Our goal, of course, is to help simplify the consultation and collaboration process for professional trimmers. We’re glad to see On the Ground Designs, Relicate Leather Collection and Sew it Seams Interiors used it to do just that. We want to see examples of how you’ve used the Design Studio. Email your interior renderings to info@thehogring.com and you’re project might be featured on The Hog Ring!